It is known that travel and tourism is one of the high revenue generating industries across the world. Its total revenue worldwide is around USD 76 trillion and every year this figure is growing. America and France being the most favoured countries, they get the maximum number of tourists. The number of tourists across the globe has crossed 118.4 crore. Following the recession period in 2010, instead of the number of tourists going down, it has been consistently increasing. Hotel industry data includes figures related to lodging, boarding, online travel market, cruise line while a travel data is also obtained from the airlines and insurance companies. In some countries like Mauritius, Maldives, Singapore, Dubai and Thailand, a significant part of the total income comes from tourism. These countries have consciously developed a highly productive tourism industry. Having a meagre population of 50 lakh, Singapore attracts over 1.5 crore tourists every year. Similar is the situation in France. Around 90 per cent of the total GDP of these countries comes from tourism. Today, every country, including India, is researching on how to improve and encourage tourism in order to give the economy a boost. In 2015, India declared that it had 80 lakh tourists. But this figure is just an eyewash as it includes visits of NRIs and Indians working outside. India is called the ‘Sujalam’ and ‘Sufalam’ country worldwide. Having a coastline of 7,515 km, 8,598 metres high Kanchanganga snow hill, beautiful hill station like the Himachal Pradesh, the heaven-like Kashmir, Rajasthan’s heritage, architectural works and forts nationwide, seven holy rivers like the Ganga, diverse languages and culture, India has a treasure to share it with the world. 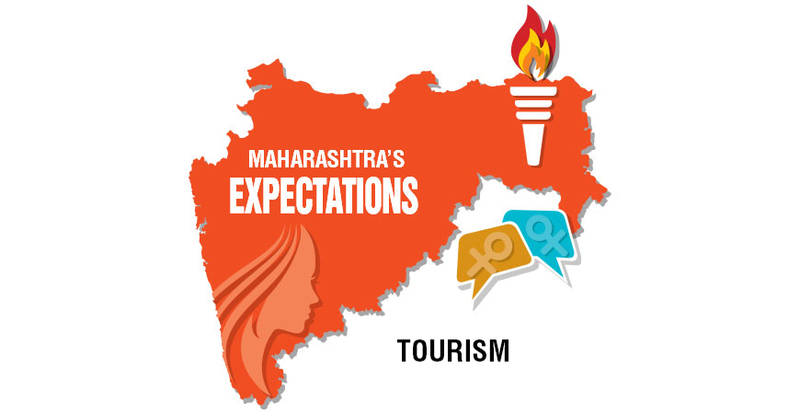 The new tourism policy of Maharashtra is a welcome step. The conservation of the Ajanta Ellora caves, the new Sea World, promotion of beach activities, adventure tourism, among others would be taken up under the public-private partnership and effective 365-degree marketing. If the policies are implemented properly, Maharashtra will surely see ‘Achhe Din’ (Good Days). Our former president late APJ Abdul Kalam had shown us the dream of India in 2020. This is a step towards that dream. Maharashtra has a variety to offer from its huge basket of tourism. Having a coastline of 720 kilometres, sanctuaries and national parks with jungle-safaris, monuments of architectural excellence, ancient caves, around 400 impenetrable forts and the capital of entertainment, Maharashtra can attract a huge crowd of tourists every year. The Kumbh Mela, organised every 12 years at Nashik-Trimbakeshwar, showcases a unique culture to the world. 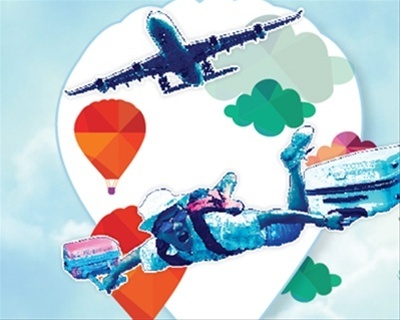 Even after having so much, tourism contributes 9 per cent to the State’s GDP. In 2016, the State constituted a new tourism policy, 10 years after it was last amended in 2006. In these 10 years, no ruling party or government authority took up the tourism sector as a revenue generating business. Due to this, no new tourist place or site was developed along with the conservation of the existing ones. The reasons for these backdrops is the lack of coordination between entrepreneurs and business owners in tourism industry, lack of facilities, improper connectivity and low promotional activities. In India, tourism industry is considered to be a seasonal business. Hence, apart from vacations and seasons, most of the year, the count of tourists remains negligible. It is necessary that the government and entrepreneurs, both change their mindset and take up tourism as a year-long business. The Maharashtra Tourism Development Corporation (MTDC) is a government-run body which works on the development of tourism in State. As compared to the states like Rajasthan, Andhra Pradesh, Kerala, Madhya Pradesh, Jammu and Kashmir, Gujarat, Tamil Nadu, Aasam and Arunachal Pradesh, Maharashtra lags behind in attracting tourists. It is absolutely important that the government, MTDC and business owners should work together to bring the much needed change. This year the Maharashtra Tourism Policy is a positive step towards development of tourism in State. The government has for the first time introduced Public Private Partnership (PPP) model. Under this project, Vidarbha, Ratnagiri, Sindhudurg, at least 10 spots near Aurangabad, Elephanta Island, sea forts, Ajanta Caves, Konkan coastline, Ashtavinayak mega-circuit and Tadoba jungle safari will be developed. According to the new Maharashtra Tourism Policy, Rs 15 to 50 crore would be invested in the sector and this would generate more employment. The government is giving an attractive 50 to 100 per cent concession on entertainment tax, electricity, stamp duty and registration fee, among others. Now, house licence, police permission, shop and establishment fee, other permissions would be renewed every five years. Moreover, if the 100 or 50 per cent partnership of the business belongs to women, then the renewal period would be extended further. Around 100 km from Shillong lies Mawlynnog, a small village with a population of 500, which is famous for eco-tourism and its cleanliness and natural attraction. Discover India had honoured the village as the most clean village in 2003 and 2006. Cleaning the house in the morning is the foremost work everyone in the village does as soon as their day starts. Students, while going to school, often pick up litter or tree leaves lying on the road and throw it in dustbins. Nevertheless, they use dustbins made of bamboo sticks to avoid use of plastic. The most amazing part about the villagers is that they throw waste in the provided dustbins made of bamboo sticks, which are available in every corner of the streets. Now, the village has completely shifted to no use of plastic practice and the villagers believe that the key to leading a quality life is cleanliness. For the last 130 years, the villagers have been inheriting cleanliness to several generations. Not only cleanliness, they are also keen about using toilets as a healthy habit. The villagers take pride in stating that it has become a necessity for them to keep their house as well as village clean and beautiful. Prime Minister Narendra Modi in his ‘Mann Ki Baat’ had mentioned the village as an example to promote Swachh Bharat Abhiyan. The village began to attract large number of tourists after Discover India had honoured the village as the most clean village. Apart from cleanliness, the place has attracted tourists for its natural beauty, skywalk made of 85 foot bamboo, hills and trees. Until 2003, this place was not marked in the tourism list in India, yet it attracts maximum tourists from different parts of the world.